I finally caught up with my BOMs. 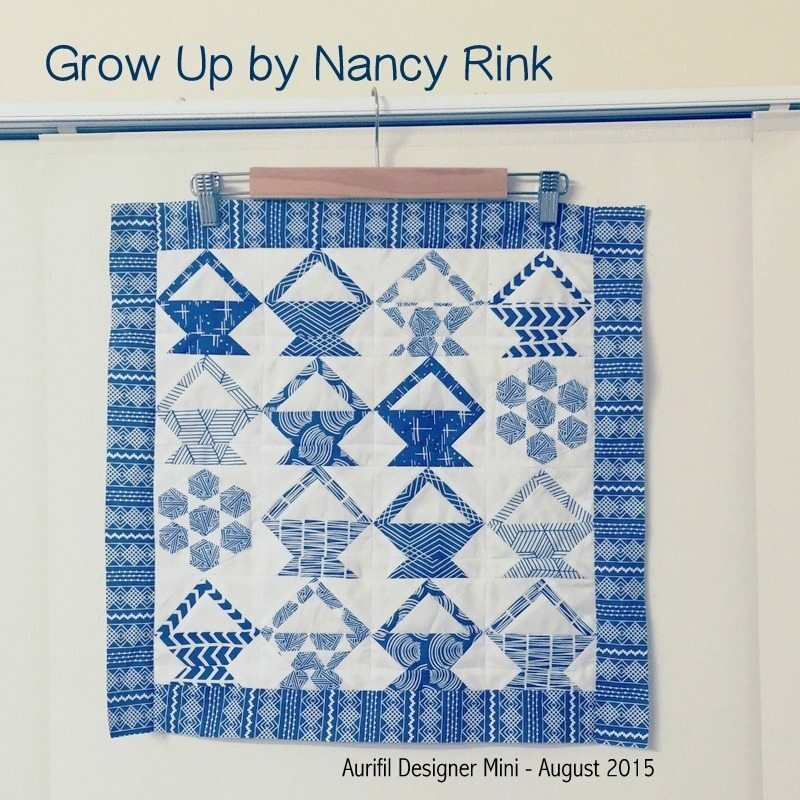 Last months Aurifil Designer mini is Grow Up by Nancy Rink Designs. Made with Hawthorne Threads in house designed fabrics Bengal and Etched and pieced with Aurifil 2024 50wt cotton. Read the interview with Nancy and download the pattern at the Auribuzz blog. I replaced the appliqué flowers with the hexagon print from Etched to complement the geometric nature of the baskets and prints. I love antique baskets blocks. These ones finish at 4″ x 4″. The other BOM I have been following is Pat Sloan’s Vacation Time . Ferris wheel was the theme for September. The pattern can be found here. Add your finished blocks to the link up each month on the pattern page. 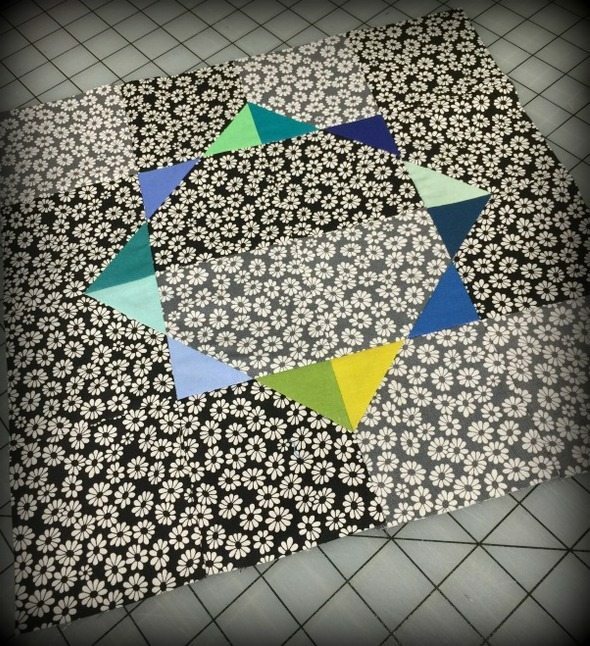 My blocks are made using solids from Moda and Michael Miller charm packs. The backgrounds are Moda Me and My Sister Designs Shades of Black layer cakes.